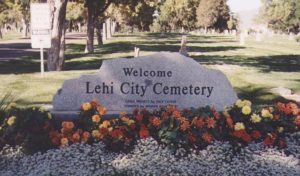 Over the last several months, grave robbers have repeatedly robbed and desecrated the Lehi Cemetery. Recently several news agencies have reported on these robberies and have spoken with some of the victims of these crimes. In late March, vandals destroyed and stole hundreds of dollars’ worth of flowers placed on a new grave site. On March 22, just a few hours after Linda Manning laid her late husband to rest, she returned to the grave with her daughter to find the casket spray ransacked, adding devastation on an already difficult day. Linda’s daughter Kellie Manning told Fox13 “They took the vases and took the flowers they didn’t want and just scattered them.” Thefts have occurred at many graves, with over a dozen reported last week. Lehi resident, Amber Baum, has been a leading voice in requesting change and action on behalf of mourners with loved ones interred in the Lehi Cemetery. Amber’s daughter McKenzie is laid to rest in the cemetery, and her gravesite has been the target of theft multiple times. In a report given to News4Utah, Amber Baum said “I’ve taken every precaution you can imagine. I’ve taken string and zip ties and tied them to the shepherds’ hook. I also spike them into the ground so that they don’t blow away and it makes it harder to steal them.” These precautions haven’t been enough to deter thieves, leaving many Lehi residents wondering what more can be done. Placing cameras around the cemetery is a frequent talking point in the community, as is locking cemetery gates. Some have suggested added police patrols and creating neighborhood watch groups from nearby residents. 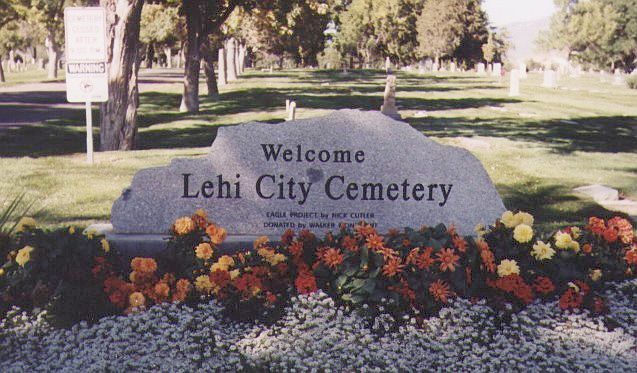 Lehi City Police regularly patrol the cemetery, but the very nature of a cemetery makes it difficult to patrol. Over 9,000 people are buried there and hundreds of mourners and loved ones visit often. Many people leave items on loved ones’ graves and return later to retrieve them, making it difficult to determine if a theft is occurring. Winters explained that cemetery staff cleans up regularly from spring through the fall and mainly remove dead flowers and foliage. They do not remove any items on the actual graves. Winters said that if they do need to move something in order to mow, they take it to their office for safe keeping. According to Lehi City Mayor Mark Johnson, this type of crime is not just limited to Lehi. Thieves have stolen from graves in Pleasant Grove and other surrounding cities as well.